“Did you include your insomnia in your disability claim application?” I asked my new client. “No, I did not even think of that,” he replied. As a disability insurance attorney, I have had that conversation with countless clients over the last 25 years, and very few ever told their Disability Insurance company or ERISA plan insurer about any sleeping problems they were having. so, if you are wondering how to prove you are disabled, you must be sure to explain how your sleeping problems are impacting your ability to work in your Short Term Disability or Long Term Disability claim. You have almost certainly heard people say things like: “I am beat” or “Man, I did not get enough sleep last night,” often when they realize that they failed to do something right or did not pay attention to some detail. Think about your own situation…do you feel like that often? How about every day? If so, your lack of sleep is impacting your ability to work. The most common way people experience the impact of sleep loss is lack of mental acuity or sharpness, and an inability to concentrate or focus on tasks. If you are nodding off at work or you cannot keep your mind on track to complete tasks in a timely way, your lack of sleep is impacting your ability to work (i.e. contributing to your disability). Do you find you never awaken in the morning feeling refreshed? Do you nod off or feel sleepy during the day? Does your mind wander, because you feel fatigued or sleepy? Do you feel an overwhelming need to nap during the day or do you have to nap for a certain amount of time to get to the end of the day? Does your ability to concentrate wane when you have had a bad night sleeping? Is your vision worse when you do not get a good night sleep? 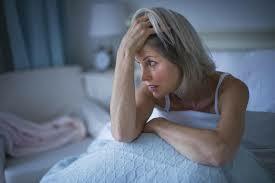 Do you experience headaches or migraines when you sleep poorly? Each of these problems alone can impact your work performance. When they are added to other physical or mental limitations, they can contribute to a person being disabled – not able to do their job. 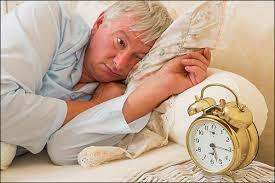 For more information about sleep disorders, visit the Sleep Foundation’s excellent website. You do not have to have a fancy diagnosis given as the reason for your lack of sleep. Very often, people suffer from pain due to an injury, extreme vertigo, or other symptoms that severely disrupt their sleep. In the same way that a diagnosed sleep disorder can cause symptoms during the day, the lack of sleep from pain can cause the very same problems during the day. Not being able to sleep because of pain from turning over or laying on one’s side, or just chronic pain that will not go away, can be maddening. Doctors have found that other conditions impact sleep as well. For example, the National Institute of Health published a detailed paper on sleep disturbance as a common part of disability due to Parkinson’s Disease. It can also be the straw that broke the camel’s back when it comes to being able to do one’s job. The loss of mental acuity stacked on top of physical limitations and pain may just be too much to do the duties you must do day-in and day-out. You should tell your doctor about your sleeping problems. They may or may not recommend a medication to help, but try to get information about how bad you sleeping is impacting you into the doctor’s office notes. You should also include as many details and examples as you can about your sleep disorder in your Disability Journal (if you are not keeping one, click here to learn about how to keep a Disability Journal to help win your claim). Whether you write a journal, include pictures that others have taken of you, or both, you can create evidence in a journal that tells the story of why you cannot work. Remember, to do a job, you have to be able to get through every regularly scheduled day and do all of the task expected each day you are at work. A Disability Journal can pain the picture of what it is like to live in your skin with much more detail that your doctor’s medical records. It can be effective evidence to supplement the medical records to show why your claim for Short Term Disability or Long Term Disability benefits should be paid. First, you have to recognize whether your lack of sleep is causing you problems during the day. Second, in doing that, you have to understand that the mental aspects of your job can be just as important as the physical part of the job, so evaluate whether your lack of sleep is a bigger problem than you thought. third, you have to make sure those problems are documented in as many ways as possible – medical records, Disability Journal, whatever it takes. Finally, be sure to include any sleeping problems you are having on Disability Insurance claim forms – Do not leave out this important part of your claim. Do you have a Long Term Disability claim? Talk to one of our experienced Disability Attorneys about how we can help you with your claim, an appeal, or a lawsuit. Call us for a free consultation at (866) 282-5260.